Our editors independently research, test, and recommend the best products; you can learn more about our review process here. We may receive commissions on purchases made from our chosen links. Buying gifts for coffee people is as hard as buying clothes for a teenager: Folks who take their coffee seriously tend to have very specific ideas of how to roast, how to store, how to brew, and how to drink the precious elixir. That said, there are plenty of fantastic gift items for caffeine kooks: From gadgets to books to accessories, we've rounded up the best gift options for every coffee lover on your list, from novice to world-class barista. Gianni knows his coffee beans—after all, he's Italian! 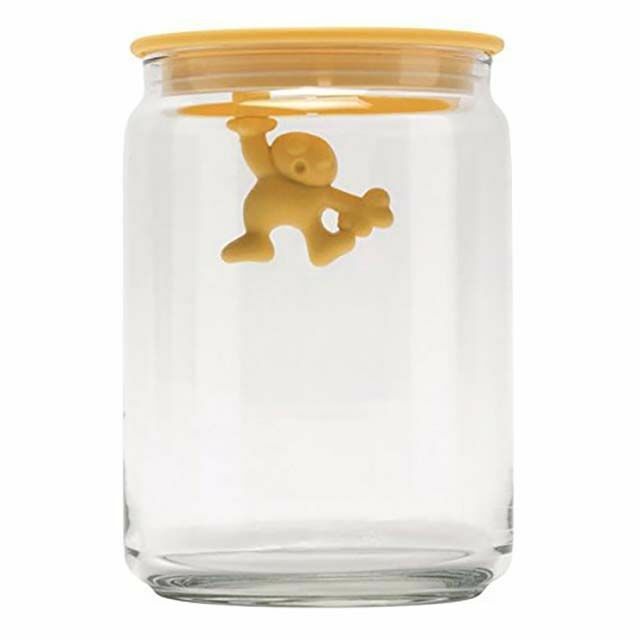 The Italian design firm Alessi has developed useful, whimsical, and luxury products since 1921, and this perfect hermetically sealable jar with the tiny hanging man is perfect for storing roasted coffee beans for ultimate freshness. At 7 in the morning, it can be difficult—nay, impossible—to remember to both tare the scale and to start the timer when you're brewing coffee, but this Hario scale is a simple solution to both. Not only does it measure weight in .01 gram increments, it also has a built-in timer, which allows the user to meticulously brew based on time and weight—the two most accurate measures when making coffee. For someone who is passionate about brewing their own coffee, the Baratza Encore Electric Grinder is the ideal gift—there’s no better way to get the purest, freshest-tasting coffee imaginable. This machine boasts 40 grind settings and an advanced burr set so that you can try out different brew methods. The bean hopper can hold an impressive 8 oz and the grounds bin capacity is 5 oz. This best-selling grinder is also easy to clean and virtually noiseless. This sleek and affordable French press will give you a delicious cup of coffee in a matter of minutes! Choose from nine different colors and four different sizes ranging from 12 oz to 51 oz. The coffee carafe is made from heat-resistant borosilicate glass and the stainless steel plunger has a mesh filter instead of a paper one—mesh filters do a better job of extracting flavors instead of absorbing them like paper would. Coffee enthusiasts will love how aromatic and flavorful each cup is. Take a peek at some of the other best french press coffee makers​ you can buy. Continue to 5 of 13 below. It's hard to find the perfect mugs: There's always something that's not quite right, whether it's the weight, the thickness at the lip, or the handle—oh, the handle struggle is real. These LINO mugs from notNeutral are the absolute perfect shape, size, weight, and those handles are to die for. A set of four 10-ounce mugs makes a fantastic gift to any coffee lover who likes to brew for a crowd, and the porcelain cups are dishwasher and microwave safe. Ho-hum travel mugs make taking morning coffee to-go so boring, but the beautiful glass-and-cork combo of the 12-ounce KeepCup mug livens up any commute. The tempered glass is surprisingly durable (I've dropped mine from heights onto pavement, and it's still in one piece), the cork is comfortable to hold, and the lid has a cover to plug the opening—which comes in handy when you're running to catch the bus. The cups are microwave safe and come in a huge variety of lid colors, one to match every personality. 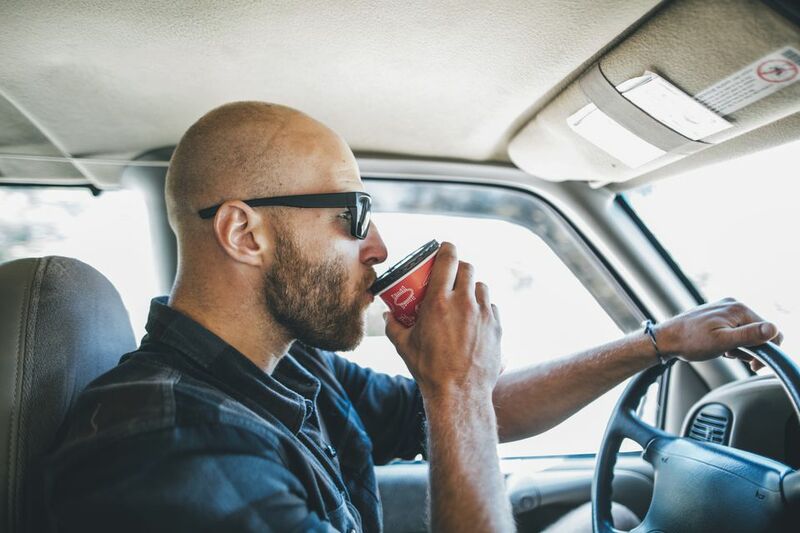 Take a look at other product reviews and shop for the best travel mugs available online. Hands-down the most readable yet comprehensive book about coffee, this is a gem that every interested coffee lover should have. From explaining different coffee origins and how terroir and variety affect flavor, to breaking down the roasting process in an approachable way, to demystifying brewing techniques, The World Atlas is a must-read for anyone who wants to learn more about coffee. The author is a former World Barista Champion and the owner of Square Mile Roasters in London–he knows his stuff, and he knows how to share relevant information in a digestible way, without being overwhelming or intimidating. A gorgeous combination of design and usefulness, Brew marries form and function by offering just about anyone who's even remotely interested in coffee a peek into how to brew better, buy better, and simply enjoy good coffee at any time of day. The author, Jones, has lived most of the past decade in Scandinavia, and is a master of fika, the classic northern tradition of coffee break including friends, pastry, and, of course, delicious coffee. This book is like a moment's relief in a busy day, with stunning photographs to boot. Continue to 9 of 13 below. What if you could give your coffee-loving friend the promise of home-grown beans year after year? Ok, so it actually takes a lot of work and ideal conditions to grow decent coffee (to mention process and roast it), but coffee plants themselves are so beautiful, there's something to be said about the uplifting botanical power of having one in your home. The gift of a sapling Arabica tree provides years of beauty, and yes, even some coffee beans: A plant growing in tropical environments will produce about a pound's worth of beans, but one in the average temperature-controlled living room might produce a handful or so every year. Hey, at least there's the potential for being extremely farm-to-table! Know someone who's intrigued but a little intimidated by the idea of roasting coffee at home? This little ceramic hand-held stovetop job can help them ease into the art and science of roasting at home. It holds a tiny amount of coffee—between 30 and 70 grams, roughly enough for one or two individual brews—and works essentially like a manual popcorn popper: Put coffee into the base, crank the heat on a gas stove, and shake the coffee beans repeatedly until they're roasted to your desired level. When fresh is best, this can't be beat—talk about "hand-roasted!" Check out our other reviews of the best home coffee roasters available on the market today. These lovely, dainty, and whimsical heart-shaped coffee spoons are a subtle way to show your love of the brew. They're the perfect size for stirring a sugar cube into an after-dinner mug, or you can leave them out on display. They're made of dishwasher-safe stainless-steel and were designed by Miriam Mirri for Alessi. Reviewers say that these spoons are both elegant and functional, and can also be used for tea and yogurt. What to get the coffee lover who has everything? Something they can play with that won't put them over the edge with too much caffeine. This collage of coffee brands, with labels both contemporary and old-school, is a perfect gift for that loved one who is so bonkers about coffee you can't actually buy them any brewing devices or accessories. Heck, they might even frame it and hang it by their coffee set-up—it's that good. Continue to 13 of 13 below. If you know someone who loves the smell of fresh coffee in the morning, allow them to indulge in the scent whenever they want. This warm blend of roasted coffee, espresso, and chocolate is universally appealing, and it mimics a freshly brewed pot of coffee. It's crafted from pure soy wax, which means that it will burn clean and without soot, and has a total burn time of 60 hours. Plus, the beautiful glass jar will look splendid on any countertop, table, or shelf.